But then again, who cares if JESSICA SANCHEZ did not won the title? It's just a title. JESSICA HAS IT. STARDOM is coming her way. I believe Jessica Sanchez deserved the title more, but that's how they play the game in the United States. Jessica Sanchez is the best among the best among the Amercan Idol contestants. 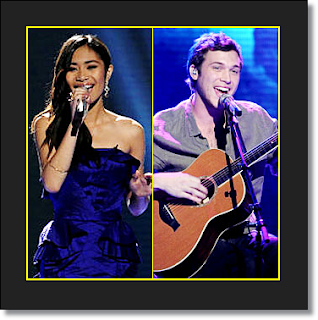 For most people who have listened to her wonderful songs Jessica Sanchez will be their NEW WORLD IDOL. She'll surely have a lot of records because BIG record labels awaits her. We learned a valuable lesson again today. That is, if you are multi-ethnic and does not look at all like a typical white American, don't expect to win American Idol. Great job #jessicasanchez ! Congratulations! My boyfriend and I agreed to everything you said. Hayz.